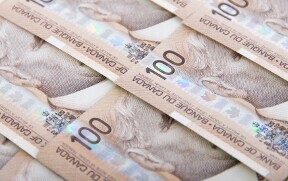 The Canadian dollar fell against most of its major peers on Wednesday, with the exception of the US dollar. That was surprising, considering that fundamentals did not look particularly bad for the currency. Prices for crude jumped more than 1% on Wednesday after a surprise big drop of US oil inventories. Usually, the Canadian currency follows moves of prices for Canada’s major export commodity. But that was not the case today. The loonie managed to gain on the greenback as the US currency was weak against all other most-traded rivals. That was expected after the Federal Reserve turned out to be even more dovish than market participants had anticipated. Wednesday’s calendar was empty in terms of macroeconomic releases in Canada. There will be several releases during the rest of the week, the most important of them being inflation data on Friday. USD/CAD declined from 1.3321 to 1.3219 as of 23:32 GMT today. At the same time, EUR/CAD jumped from 1.5118 to 1.5185, while CAD/JPY declined from 83.59 to 83.27.